I am NOT a professional cake decorator and I am NOT a perfectionist. That being said...every year I try to make my kids fun birthday cakes. They tell me what they'd like and then I attempt to make it. My oldest son just turned seven. Almost every year he has requested some kind of sports themed cake. 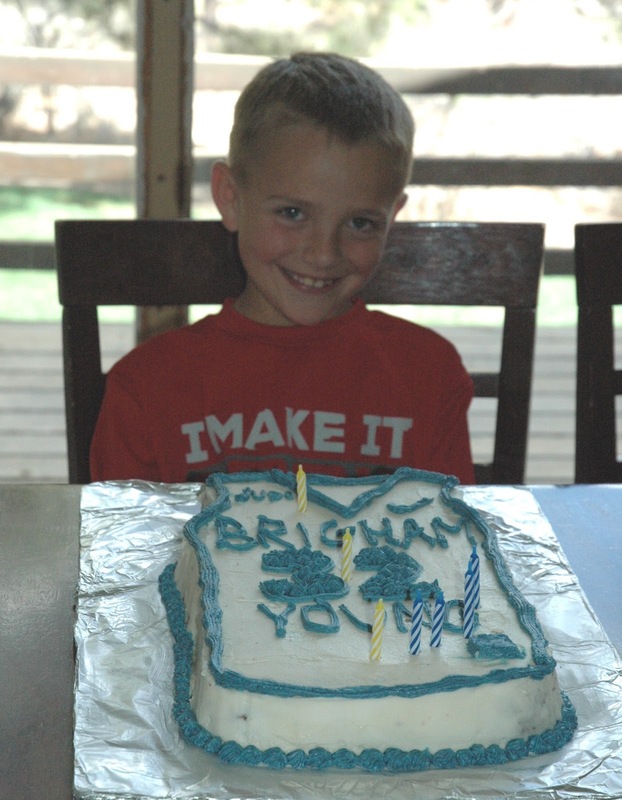 Basketball is his favorite sport, so we decided on a basketball jersey cake. He loved to watch Jimmer play for BYU a few years ago, so we recreated a Jimmer #32 jersey. This was baked in a 9x13 pan. I just trimmed the sides so it looked more jersey-ish. I also really hate to use food coloring. I don't really like eating frosting that is colored. I don't know why...I'm weird like that. 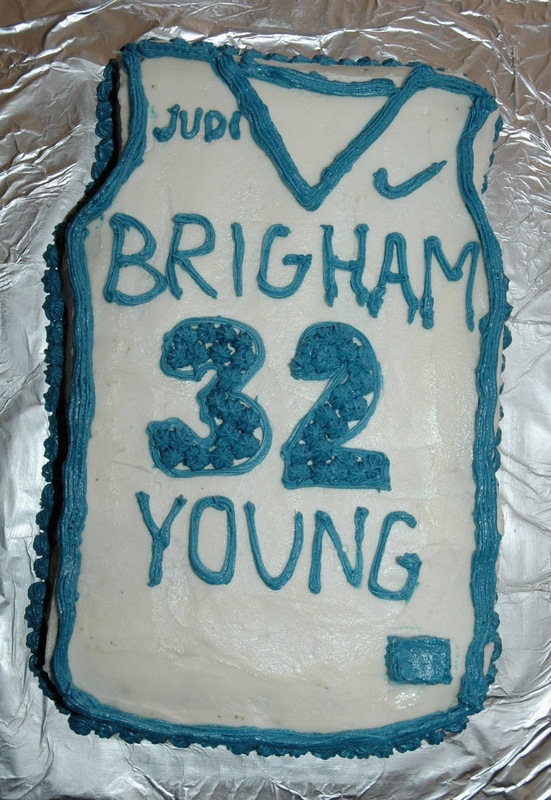 Anyway...I didn't plan ahead very well before I made the cake, so the darkest that I could get the frosting was medium blue, not true BYU colors. No one complained.